I received these awesome 3D metal stickers from www.BornPrettyStore.com. 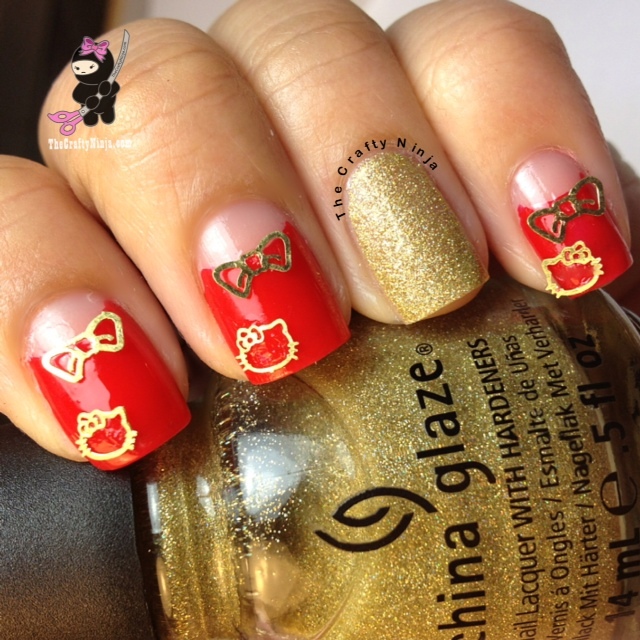 I wanted to create a Hello Kitty nail art design using the Hello Kitty and Bow 3D metal jewelry. I first created a Half Moon Manicure, tutorial here, then use Nail Glue and Tweezers to glue on the 3D metal stickers. The nail polishes I used: Live, Love, Dream from Aero Popsicle Paradise, China Glaze Angel Wings, Nail Glue, and Seche Vite Top Coat. Use coupon code: TCHW10 to receive 10% off your entire order.